Calitzdorp is also known for its beautiful gardens featuring splendid Bougainvillea and the wide variety of special architectural styles of the village houses which date from the founding of the village in 1821. The farm on which Calitzdorp stands was granted to JJ and MC Calitz in 1831, who named it Buffelsvlei (Buffalo Valley). During the pioneering days hunting was good and by 1845 a community centre was established after the establishment of several homesteads. The Dutch Reformed Church, declared a national monument in 1991, was originally built in 1857 and holds a magnificent organ, large even by European standards. Richard van Reenen Barry was the first pastor and served the community for 40 years. In 1910 the population reached 4000 and it was decided to build a new church. 1912 was an important year as the new church was erected in the neo-Byzantine style with a Marseilles roof. 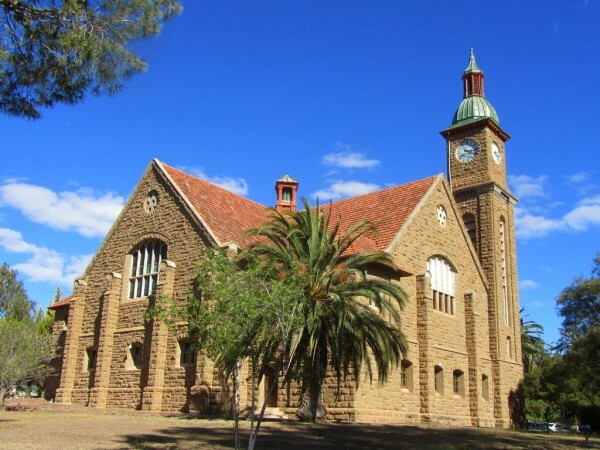 The same year the new school building was also completed, and a start made with the building of the old Standard Bank building, presently housing the museum, as well as the Nelsrivier Dam. Subsequently drought, the great flu epidemic and the collapse of the ostrich feather industry all hit the area hard. However economic recovery followed with the opening of the railway line (1924), electrification of the town and the construction of a cement road between Calitzdorp and Oudtshoorn, also a first for South Africa (1937). The new R62 highway was built in 1978. Queen Street is one of the oldest streets in town and begs a stroll to properly absorb the number of Edwardian and Victorian, and Karoo-style buildings heavily influenced by English architecture. Dont miss the lovely stone church. 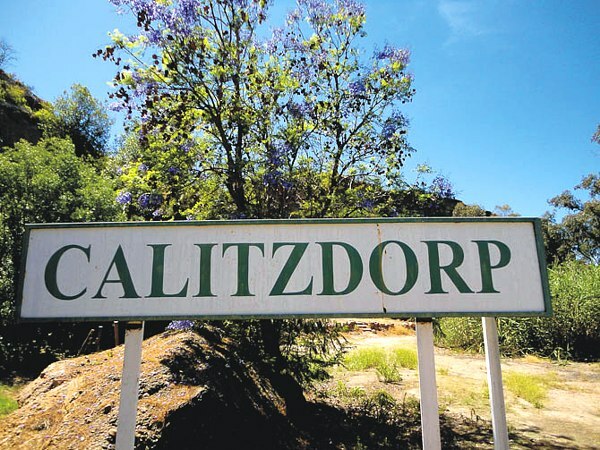 Today Calitzdorp is a popular tourist destination, with popular outdoor activities include bird watching, mountain biking, canoeing and fishing, walking, hiking trails and 4x4 Routes. 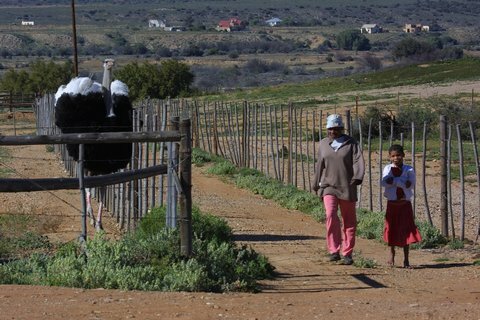 The major wine farms of the town are Boplaas Estate, Die Krans Estate and the Calitzdorp Wine Cellars. Tours of the Wine farms are available as well as regular wine and port tastings.